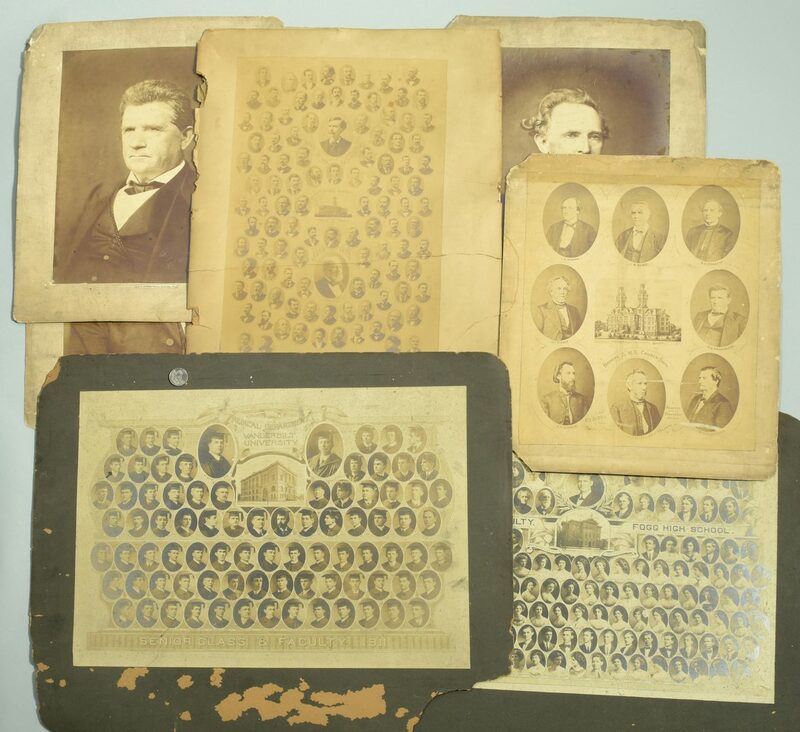 Group of photographs of Nashville interest including 1 Vanderbilt related. 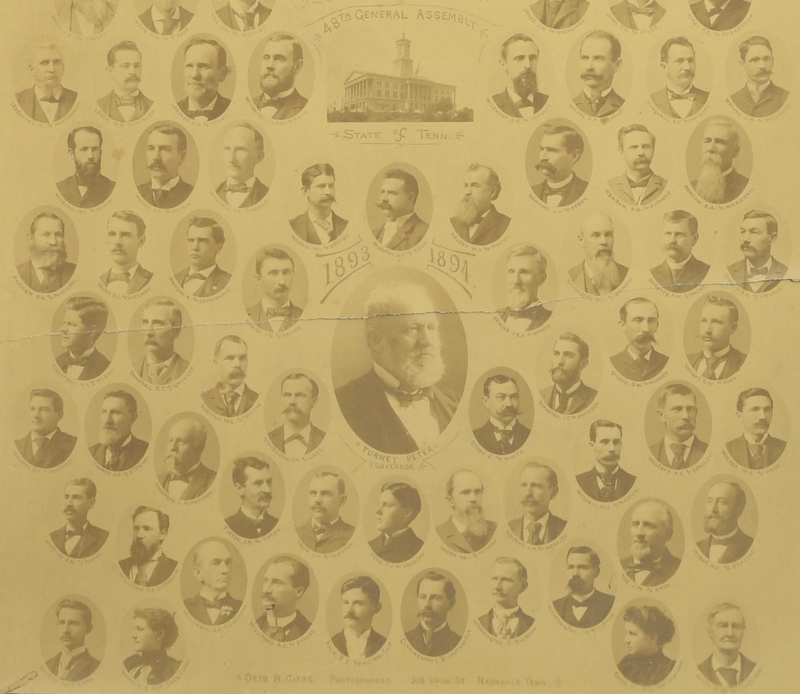 1st item: 48th Tennessee General Assembly, composite photograph of individual pictures of members of the House of Representatives including Peter Turney, Governor, and J.A. Trousdale of Sumner County, Speaker. 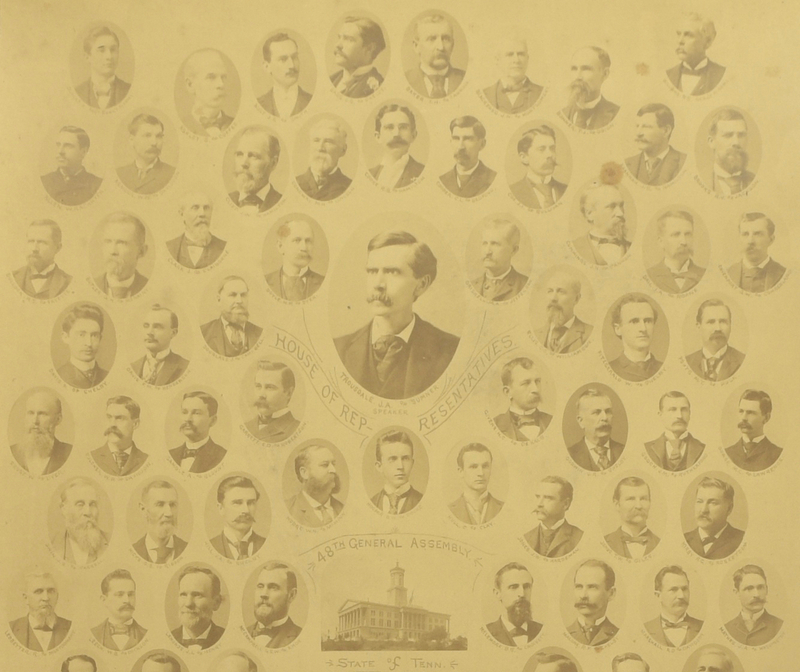 All members are captioned along with the name of the county they represent. Image 16 1/2" x 11", mounted to heavy card, 20" x 16". Full horizontal fold/crease across Turney's picture, corner and edge chipping to board. Image faded. Extraneous papers glued to back. 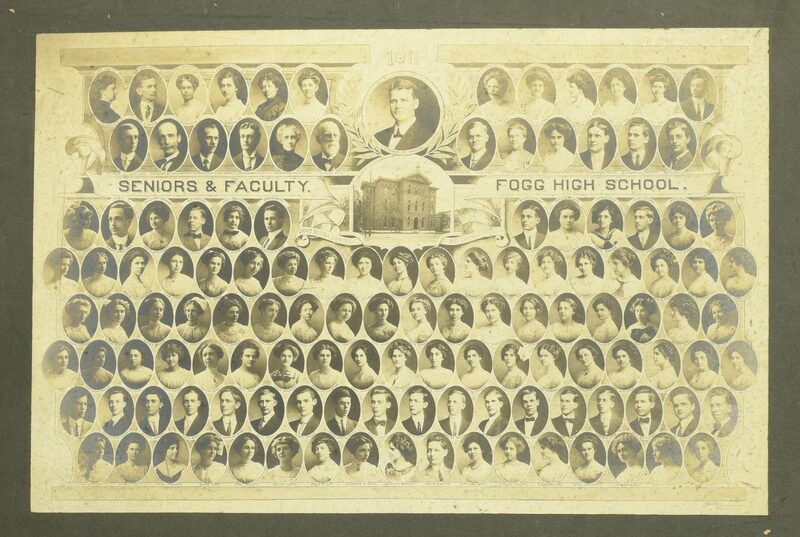 2nd item: Composite photograph of Seniors and Faculty of Fogg High School, 1911. 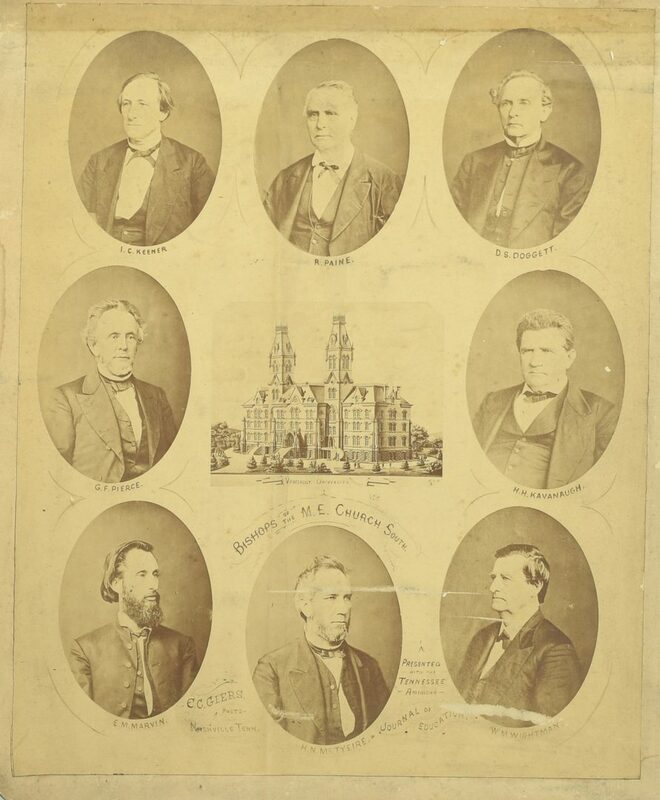 All individuals captioned with names, also depicts the school building. Otto Giers' daughter Hunter is among those pictured, along with valedictorian Harold Cohn and class president Clarence Hunt. Thuss photographer's stamp lower right. Image 12 1/2" x 19", mounted to heavy card, 20" x 24". Foxing to image, corner losses to board. 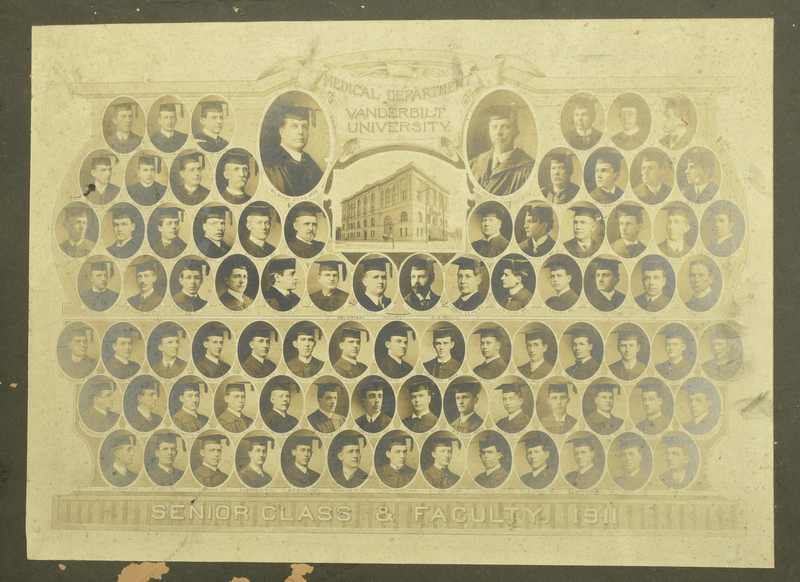 3rd item: Composite photograph of Vanderbilt University Medical Department, Senior Class and Faculty, 1911. 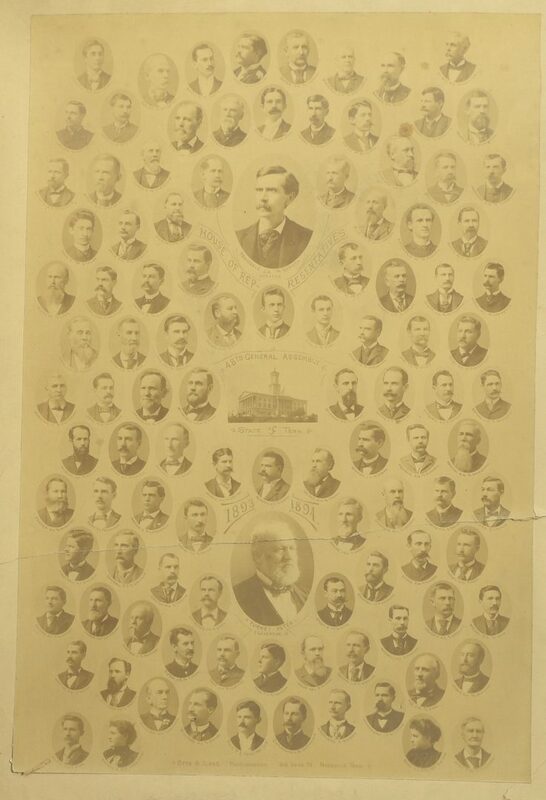 All pictured are captioned with name, students also have their home states noted. The school is pictured in a central vignette flanked by image of Dean W.L. Dudley and Chancellor J.H. Kirkland. Thuss Photographer's stamp lower right. Image, 19 1/2" x 14," is mounted to heavy card, 20" x 23 1/2". (Image with foxing and some stains, corner chips and margin surface losses to board). 4th item: Bishops of the M.E. South, Presented to the American Journal of Education; C. C. Giers Photo, Nashville Tenn. 8 Bishops are pictured and captioned, including I.C. Keener, R. Paine, D.S. Doggett, H.H. Kavanaugh, W.M. Wightman, H.N. McTyeire, E.M. Martin, and G.F. Pierce. There is also a central vignette of Vanderbilt University. 14 1/2" x 11 1/2" image; mounted to card 17" x 14". 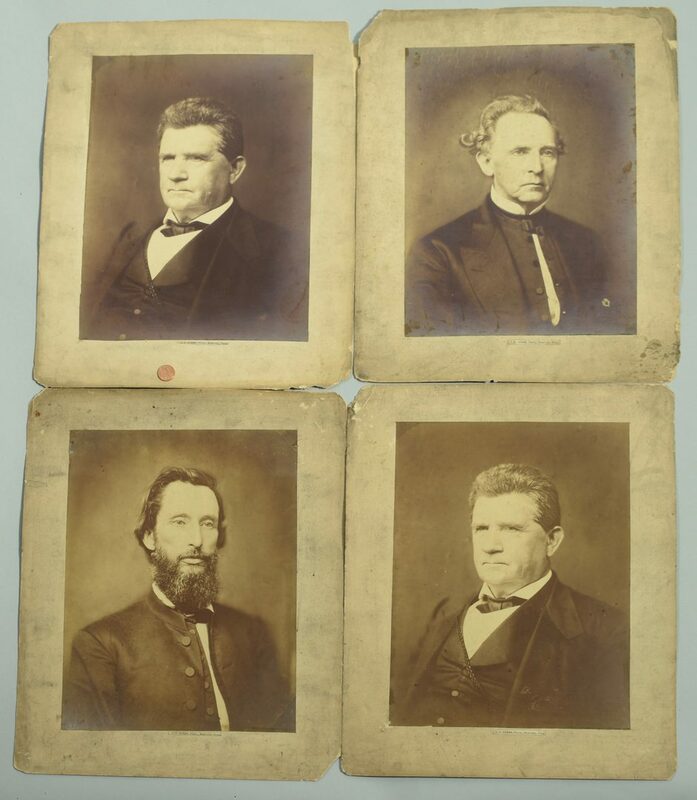 5th through 8th items: Additional 10" x 13" images of Marvin, Doggett, and Kavanaugh (2). All have some light discoloration to images and chipping/losses to boards. Provenance: the estate of Giers descendant Sarah Hunter Hicks Green, formerly of Historic Devon Farm, Nashville, Tennessee. CONDITION: See item descriptions. CONDITION: See item descriptions.